Someone sent me an email with the following images and I thought it would be a blessing. So I am posting it here as a permanent place to find it. Consider these “If”s in your life…. If you never had a trial, How could you become an overcomer? If you never got stuck, How would you know that I have more for you? If you never were lost, Then how would you know that I came to find you? If you never felt guilty, How would you know that I forgive? If you never asked, Then how would you know I had the answers? If you never had a need, How could I do a miracle for you? If your life had no struggles, Then what would you need me for? I love it when I see something in a completely new light. Mostly we don’t need to see “new” things, but to see the old things the way they really are. When our brains are told to interpret things one way or another we can be effectively brain-washed by that instruction. Somehow we overlook the evidence and keep interpreting it according to the definition or label we were told to apply to that thing. Many of the things we “know” are only things we “believe”. We “believe” them to be true, and thus think we “know” them. But, alas, we are deluded, and are even blind to an accurate interpretation because of the pre-programmed beliefs. Education involves learning to put labels on things. The bigger our set of labels the better educated we are. We are able to discern between things when we have a large enough set of labels to enable us to put different things into different categories. Hoorah for labels! But, if we are given the wrong label for something, then we have not been truly educated at all. In fact, we have been brain-washed, indoctrinated, deceived and denied insight into the truth. Notice that socialist economists have influenced much of modern academia on economic themes. I expect that the labels a socialist mind conceived for economic processes put those processes in a different light to a Biblical economist, or a capitalist economist. The label “prehistoric” is a philosophical statement in itself. Biblically speaking nothing is pre-historic, since the Bible record accounts for human history all the way back to day one. But the label “prehistoric” is deceptive and brainwashes the hearer into thinking that there must have been existence before the historical account began. Thus the term “prehistoric” embodies an attack on the Biblical record. It is a deceptive label. Let me get toward my point. We have all heard mention of the two forms of motivation, the carrot and the stick. Carrots are positive inducements that prompt people to action. The stick represents negative inducements to action. A carrot might be a bonus for completing a task on time. A stick might be a punitive outcome if the task in not completed on time. 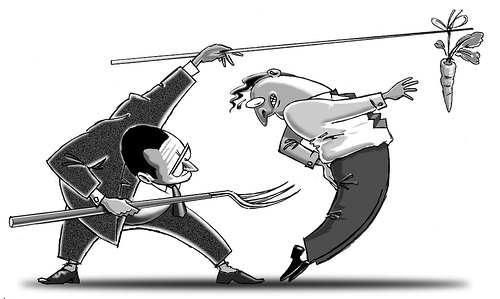 Management theory has addressed the competing tools of the carrot and the stick. And these labels have had a “reductionist” effect on human thinking. Most people’s first thoughts about motivating themselves or others will orient toward either or both of the carrot and stick. These two categories tend to dominate and thus obliterate perception of alternative possibilities. Many people do what they are asked to do and perform well, simply because that is their choice. They are not motivated by the carrot or the stick, but are simply doing what they have been programmed or trained to do. Some people make a greater effort out of concern for others who they see under pressure. They pitch in out of social motivation, based on their sense of shared responsibility and their desire to see their friend aided in a difficult situation. Some people simply love a challenge. They are motivated by realisation of a need and the definition of a clear challenge to overcome that need. The feeling of “We did it!” is all the reward they need. Biblical Parenting involves use of the “stick”. King Solomon instructed humanity thousands of years ago to train children by using words and physical discipline. The old English translation, the King James Bible, uses the word “rod of correction” to describe the stick that is used by parents to train their children. Influenced by the “carrot and stick” labels, how should we interpret the use of the “rod of correction” by parents? It is seen as a punitive, negative reward. It is seen as the opposite of the more positive encouragement inducement or positive reward option. In a “carrot and stick” world, use of the “rod of correction” is seen as the ugly choice. Caring, sensitive, compassionate, New Age parents think they can discard the cruel ancient wisdom of Solomon and embrace more advanced and enlightened methods of training their children. Such parents aim to use rewards, coaxing, mature negotiation and other alternatives to the offensive “hit the kid with a stick” option. The “carrot” triumphs over the “stick” in today’s modern homes. The Bible was written long before the more modern discussions about the carrot and the stick. And Solomon’s wisdom needs to be seen for what it is, not what the labels have brainwashed us to think it says. The use of the “rod of correction” is not punitive in this instruction. It is therapeutic! The rod of correction has a specific and vitally important function, and it has nothing to do with motivating a person to do what mummy tells him to do. The “rod of correction” has a transformational impact on a child’s heart. It drives “foolishness” far from the child. If that foolishness is not driven away, by the use of the “rod of correction”, then the child will carry foolishness in his heart right through his adult life. The “rod of correction” is for the good of the child. A parent who refuses to do this good to their child is described as hating their child. The punitive “big stick” is for the good of the manager or the person who wants to get their project done or their will obeyed. The Big Stick is an aid to the teacher, boss, prison warden or similar role where a person in charge demands compliance. That kind of big stick can lead to abuse and dominance of those under punishment. The “rod of correction” applied for the good of the child cannot be a tool of abuse. It is not an indulgence for the parent, but a blessing to the child. In a recent article on Leadership, titled Leading With Authority, I made an aside about the use of force. I quote myself here…. Parents need to go back to the stick. But the Big Stick is not the Big Stick! The “rod of correction” which godly parents use to train their child is not a “Big Stick” of threat and intimidation to coerce appropriate behaviour. If the stick is used as a “threat” then it is not being properly used. The “rod of correction” is not of value because of its intimidation and the fear of its use, but by its application and its measured and appropriate use. Godly parents who wisely use the “rod of correction” to remove foolishness from their child can then get on with parenting their child without recourse to the Big Stick. They don’t need to threaten the child, or intimidate the child with the stick waved over the child’s head. Those two concepts are foreign to each other and have created the kind of confusion that leads some authorities to seek to ban godly discipline. The Rod of Correction is not the Big Stick. It never was and was never meant to be. It’s time for parents to go back to the “rod of correction”, for the sake of their children. Its application will only be temporary. It is not a punitive and intimidating “negative reinforcement” mechanism. It is a means of delivering the child from foolishness. Once that is done, the rod is put away and your effective parenting continues with those other Biblical training processes you have already been using as well. I realised something recently that sounds like a contradiction. 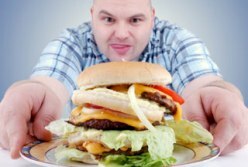 Imagine “self-control” without any “self” involved! Is such a thing really possible? Self-control is a major challenge for people. Many struggle for the whole life to rein in their words, addictions, urges, reactions and so on. Most resolutions that people make are probably focused on gaining some new level of control over their actions, thoughts, words, spending, and so on. Self-control is a major component of personal development and making progress in life. We admire people with strong wills, who can overcome obstacles and achieve things that others cannot win over. Losing weight, getting fit, quitting smoking and slugging through difficult studies are just some of the areas in which people have shown their determination to succeed. Determination and self-control by sheer willpower is seen as a great achievement and a true credit to those who display such things. These are the people held up as examples to us all. That catch-cry is meant to rally people to improved resolve of will to push ahead and make the changes that need to be made. They are told not to rely on others or to dump their challenge onto some other person, but personally persist, until they get the breakthrough. It’s great stuff. We applaud those self-reliant people who know that it is up to them to make things happen, and who get off their chair and get things done. However, despite the popular human notions of self-will and self-reliance, leading to self-control, the Bible has something to say about this stuff. And what the Bible has to say is quite surprising. It is the Bible that suggests to us the idea of Self-Control without “self”. Let me show you where I get this from. Self-Control is shown to be a “Fruit of the Holy Spirit”. When the apostle Paul wrote to the church in Galatia, he listed a bunch of things that were the fruit coming from the work of the Holy Spirit in people’s lives. Self-control is listed as one of them. The King James Bible uses the word “temperance” in that text, while modern translations use the updated term we are more familiar with: self-control. So, self-control is a “fruit of the Spirit”. Self-Control does not come from “self”, but rather comes from the work of an agent separate to our “self”. It comes from the work of the Holy Spirit of God. It is Not Up To Me! Imagine that! If it is to be, it is NOT up to me. If it is to be, it is dependent on God. If self-control is to be part of my life, I am dependent on the work of the Holy Spirit to create that fruit within me! That does not mean that I am relieved of the responsibility to gain self-control. What it does mean is that the best way to get self-control is not through the determination of my own will, but through yielding to the work of the Holy Spirit in my life. I have seen many people whose personality and character has been transformed as the Holy Spirit worked in their life. Anger and hardness gave way to joy and peace. Explosive reactions and addictions fell away and a quiet spirit emerged instead. When the Holy Spirit is allowed to work in a life the fruit is really sweet. Notice that self-control is listed among the “fruit” of the Holy Spirit. Trees don’t groan and struggle to pop their produce at the end of the limb. You do not get kept awake at night by the sound of fruit trees grunting to grow their fruit. You do not see fruit trees in a lather of sweat as they struggle to be fruitful. Fruit just grows. It starts small and gradually fills out until it is ripe and ready to be eaten. And that’s how it is with self-control in our lives. When we yield to the Holy Spirit and allow God to minister into our lives we develop lovely, fresh fruit. There is no sweat or struggle. We don’t curse ourselves and chant encouragements to ourselves to keep pressing on. It just happens naturally and almost unseen on a day to day basis. Self-control is a Fruit of the Spirit, not a Work of the Flesh. The apostle Paul, writing in a letter to the church in Colosse, used the term “will worship” (Colossians 2:23). He referred to those who become committed to human rules and religious ordinances. They display great discipline in neglecting themselves and maintaining the various rules they have adopted. People caught up in such things, however, are not living in the freedom purchased for them by Christ. If you have chosen to follow Christ, then you won’t be party to those things and the will worship that goes along with them. Serving religious duties can cause those with strong wills, who keep the rules most diligently, to look better than others. But all that counts for nothing. We are not to worship our will, but to worship God. I want you to gain self-control. I want you to have so much of it that you rule your own spirit and are stronger than the mighty ones who capture whole cities. Don’t build up your self-control by reliance on your own self-will. Build self-control by looking outside your “self”. Find it in the work and ministry of the Holy Spirit in your life. Be filled with the Spirit. Be baptised in the Holy Spirit. Be led by the Spirit. Do not quench the Spirit. Soak in Bible truth for it is the sword of the Spirit. Walk in the Spirit every day. Pray in the Spirit and sing in the Spirit. Stay under the anointing of the Holy Spirit. As you let the Holy Spirit into more and more of your life you will discover that self-control is developing within you, without any demands upon your self-will. And along with it will be “love, joy, peace, longsuffering, gentleness, goodness, meekness and faith”. Now, that’s a pretty good deal, eh? Do you Indulge Your Child? My wife, Susan, was praying with a mother recently about the raising of the woman’s children. Susan was prompted to enquire about a particular child. While praying for that child Susan’s mind was quickened to the word “indulgence”. Since this word seemed to be prompted to her, Susan mentioned it to the mum. Susan asked the mum if she indulged that particular child. The mother did not know what Susan meant. Susan explained that if a child refuses to cooperate or otherwise makes demands and the parent eventually gives in, then the will of the child has been indulged. With that explanation the mother admitted that she certainly did indulge the child. Susan then cautioned the mother that pandering to the will of the child, especially when the child was seeking to get around the mother’s will, would reap terrible consequences in years to come. Susan then explained to the mum her need to be firm with the daughter and to apply godly wisdom and Biblical child training to the children, so they are freed from foolishness and learn to fear God and live wisely. Let me ask you again…. I have often seen people struggle to exercise appropriate authority in their leadership roles. Parents, foremen, teachers, kids club leaders, committee chairmen, pastors and the like can each struggle to establish their authority at times. This lesson is designed to prompt you toward a correct understanding and application of your authority as leader. You might gain particular help from realising your wrong notions of what leadership is, that block your correct use of authority in your leadership positions. I have seen school teachers in complete disarray as they struggle with their class. I have seen young leaders get exasperated, shouting and making a scene to gain control over the group they were trying to lead. I have seen parents get to the end of their energies trying to negotiate with their child. There is no shortage of bad examples and we have all seen people handle their position of authority poorly. So take a moment to reflect on some of those you have seen. What were they doing wrong? What could they have done differently to handle the situation better? Often poor leaders end up being removed. Once someone is in a fix in their leadership there is often little hope of easy recovery. Their superiors have to step in and a leadership reshuffle may well result, to give everyone a fresh start. Many of those who fail in leadership are beset with poor ideas about what gives them their authority. It is easy to believe or assume something to be true, without any real knowledge or basis by which to test the assumption. People often act out things they believe to be true, without ever reflecting on their beliefs and modifying them. This naïve notion is soon challenged by the failed response of those being led. Lack of cooperation will cause the leader to feel that they are being put down personally, and that their qualities are being insulted. The leader will then have internal emotional issues to deal with as they try to lead. Things can get personal and messy in that situation. Some people carry pride about their self importance. This is akin to class distinction where one person assumes that all “lesser” people are to serve them. When a leader carries notions of personal superiority those under their leadership will feel the impact of the leader’s pride putting them down. Along with condescension will come demands that are unreasonable or inconsiderate. The leader will be constantly walking over those in their service, expecting their total obedience as a matter of proof of the leader’s place. Some leaders think they can only get cooperation by intimidation. 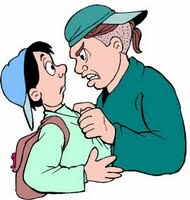 These leaders resort to shouting, threats, bullying, taunts and the like. They do not carry authority in themselves and so try to generate the effect of authority by lording over those under them. Some employers use threats of sacking to get their employees to do what is asked. The “stick” of punishment is seen by some leaders as their only effective tool for getting things done. Note here that Biblical use of the “rod of correction” is not coercive. Parents are not told to use the rod to get action or obedience. They use the rod of correction only temporarily, in order to create a heart change in their child. Once “foolishness” has been driven from the child’s heart by the “rod of correction” (not the rod of abuse or anger) then the rod becomes redundant. So adult leaders who think they have a Biblical clearance for the use of force and threats are misguided. I have seen leaders who only comprehend leadership in terms of “power”. These leaders do not “lead” those under them, but “control” them because they have “power over them”. This is a complete distortion of leadership. Leadership speaks of purpose. Leaders lead others to a place or outcome. Power, however, lacks purpose and outcome. Power is an end in itself. And it’s a “Dead End”! When leaders think of themselves in terms of power they lose something of their responsibility and role as one who directs for a purposeful outcome. Many leaders do an excellent job, as parents, teachers, bosses and so on. Reflections on poor leadership should not create the impression that most leaders are inept. So, let me now turn your attention to issues of positive leadership which you can gain from. Leadership is a place of authority. Authority is delegated to us. So leadership involves the fulfilment of a responsibility on behalf of those who have entrusted or empowered us. Of course, those who run their own business or project will have authority over their staff or members, without having had that authority obviously given to them by a superior. Yet those people have been entrusted with that opportunity by God and are accountable to Him, and they have been entrusted with authority by those who have agreed to submit to them. Thus there are serious responsibilities that must be kept in mind, even in the case of a business owner. Authority and leadership are assigned, delegated and conferred from above and they are also assigned, delegated and conferred from below. When people agree to submit to another, authority and leadership is conferred on them. This happens when people chose to appoint one of their peers to lead them in a committee or activity. Good leadership can be packaged in various forms. It is not a cookie-cutter model that has to be followed religiously. Instead, it has much to do with principle and engendering cooperation and productivity from those being led. Among the various expressions of leadership, I like to see good delegation, productive purpose and enthusing and rewarding of those involved. All those being led are effectively being “delegated” to positions and responsibilities by their leader. A good leader confers authority to those under him and empowers them to fulfil meaningful functions within the group or process. Even the lowest position in the pecking order, if there is one, is a delegated position. Good delegation finds the best person for the role, clarifies the processes and objectives, then motivates people to perform their responsible function in the most effective way, and keeps an eye on the on-going performance, and managing appropriately. Demoralisation of a team or staff has drastic impact on productivity and output. Whole organisations and projects have collapsed due to people losing heart for their role or project. Giving honour and clarifying purpose are two important parts of keeping people motivated and focused. Honour is intangible and it costs little, except thought, intent and effort. Yet each of us has gone the extra mile because of the intangible reward of personal or publicly recognised honour. And when we know what our purposes are we are able to endure difficulties to get the required outcome. When purpose is blurred inactivity and wasted time and resources will result. Honour and Purpose are brought into clear focus in examples of a team being rallied to a purposeful moment. 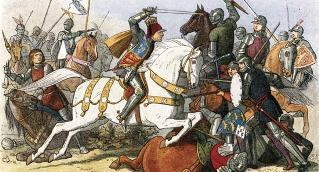 A great example is the St Crispin’s Day Speech from Shakespeare’s Henry V. Before going to battle in Agincourt, France, Henry rallied his men with an inspirational call to do their very best. I enjoyed the 1989 Kenneth Branagh version and commend it to you as an excellent example of how people can be aroused and enthused by the conviction and purpose of their leader. My rallying call to you is….